You can’t keep a good series down! 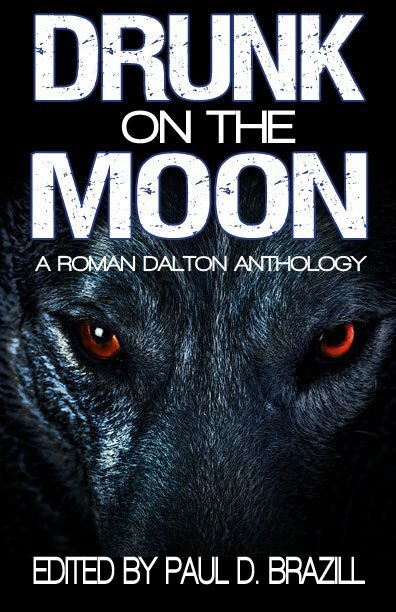 Back on the prowl with another wild howl, it’s Drunk on the Moon — bigger, badder and better! Coming soon from Dark Valentine Press, home of the original Roman Dalton story by Mr B, the dark vision that kicked off the series. In addition to yours truly, the contributors include Julia Madeleine, Frank Duffy, Alan Leverone, BR Statham, and more — including a prequel from Paul that fills in a bit more of the back story for Dalton’s best mate. Get ready to run with the pack, because your favourite werewolf detective will be back! More wandering around and some faboo pictures: how lucky I am, indeed indeed. Click to see the bigger versions or head over to the photo album for even more.